With funding secured by Rose Hill and Iffley Low Carbon through the Low Carbon Hub and Oxford City Council, a new public bike repair stand will be inaugurated at Rose Hill Community Centre on 17 June. The “Fix-It Public Bike Repair Stand” includes tools to perform basic repairs from changing a flat tyre to adjusting brakes and derailleurs and is free to use. The inauguration of the stand will take place auspiciously during the Rose Hill Cycling Festival at 2.30pm on Sunday 17 June. The festival is grand the finale to Oxford Bike Week and will include a free workshop for people to learn how to use the repair stand and talks on different aspects of cycling, including planning safe cycle routes in Oxford and beyond. To complement the new offering at the community centre, three cycle repair workshops by Broken Spoke have been organised to teach adult residents of Rose Hill, the Youth Club and pupils at Rose Hill School how to use the free repair stand. The initiative is hoped to encourage more cycling and cycling education in Rose Hill and city-wide. Saskya Huggins, Social Impact Manager of Low Carbon Hub, said: "We're really proud to count Rose Hill and Iffley Low Carbon as one of our community group members - they work so hard, on many fronts, to reduce the carbon emissions of our local communities and this repair kit is a perfect example of the brilliant and practical work they are doing and it's great to have it up and running. 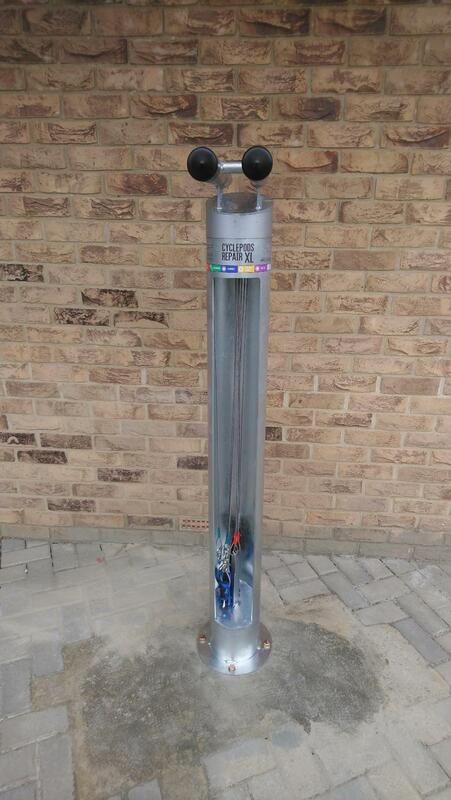 “We were really pleased to be able to part-fund the repair kit through our community benefit fund, which offers grants to our community group members to support their projects and ideas that will lower our county's carbon emissions. The grant money itself is funded by a host of renewable energy projects from across Oxfordshire, including solar panels on the roofs of schools and businesses and the largest community-owned hydro on the Thames at Sandford. We look forward to funding more projects like this!" Rose Hill Cycling Festival is taking place on Sunday 17 June from 2pm to 6pm. For more information visit oxfordgreenweek.org/events/rose-hill-bike-day. For more information on activities happening at Rose Hill Community Centre, check www.rosehillcommunitycentre.co.uk, www.facebook.com/rosehcc, or ring 01865 749597. Rose Hill and Iffley Low Carbon Hub is a Community Action Group that works in practical ways to improve the local environment. Over the past year, one of their aims has been to promote cycling. The group has organised Rose Hill Cycling Festival in conjunction with Cyclox, Oxford Bike Week and Rose Hill Community Centre. At the festival, there will also be a Go Ride Cycle Adventure course for children, free trials of electric bikes, demonstrations of child seats and buggies, talks about cycling, a best-dressed cycle competition and an escorted cycle ride to a local hydro scheme.